Constant formulation is essential to the DNA of Sixpoint. Even though we’ve brewed our year-round beers hundreds of times, we’re always looking for ways to improve them, whether it be in flavor, aroma, hop character, and even visual presentation. So when Jammer flew off the shelves and we knew we had to brew a second wave to slake summer thirsts, we accordingly took the time to fine tune the beer in typical Mad Scientist fashion. So in our first ever back-to-back Cycliquid brew, we made some subtle tweaks. A dash more seasoning, a bit more pucker, maybe a little toastier note from the malt. 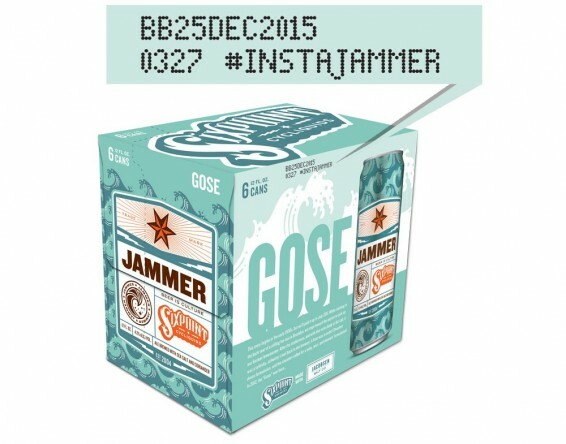 For in-the-know Gose hounds who want to taste the new batch, we marked Jammer’s second wave with #INSTAJAMMER below the code date on the box. Try it for yourself, then reach out and let us know what you think (click here to send feedback). Or hit us up on Twitter. Waves crash in succession, and you’ve got to be nimble to stay afloat. With #INSTAJAMMER we’re listening to feedback and formulating on the fly. It’s Mad Science.